Analysts with Morgan Stanley say the reasoning behind the so-called Echo Show is simple: It will make voice-activated shopping a lot easier. To those used to the charm of engaging with Alexa, Amazon.com’s digital assistant, through the sole means of their voice, the e-commerce giant’s decision to slap a screen on its latest Alexa-enabled Echo device might seem a surprising choice. But analysts with Morgan Stanley say the reasoning behind the so-called Echo Show is simple: It will make voice-activated shopping a lot easier. In a report published Wednesday, the investment bank’s analysts wrote that a screen on the home device could allow shoppers to “tangibly see and compare items” without bringing out their smartphone or desktop computer. It could also lead to easing food-delivery options by displaying menus from restaurants, and since most Echos sit on the kitchen countertop, entice cooks to buy groceries from Amazon Fresh, the company’s ambitious foray into the grocery universe. The whole point of the strategy: to reduce friction between merchants and shoppers’ money, in the same way one-click shopping helped Amazon dominate e-commerce. And that’s not all: the Echo Show’s screen is also a platform for Amazon’s burgeoning media power. That means more video consumption — and perhaps, the possibility of Amazon selling ads. 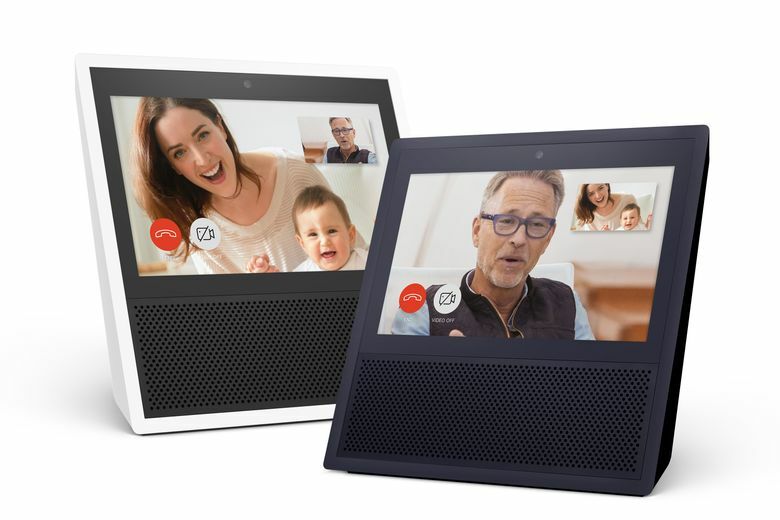 Amazon unveiled the $230 Echo Show on Tuesday, amid stiffening competition among tech giants to encourage adoption of their respective artificial intelligence platforms. Thanks to the Echo line of devices — introduced in 2014 — Amazon’s champion, Alexa, has become wildly popular. A study by Consumer Intelligence Research Partners, a market-research firm, estimated that there are 10.7 million Amazon customers in the U.S. with an Echo device.